Pennsylvania Capitol Building in Harrisburg with blue sky background. ARLINGTON, Va. – The National Association of Chain Drug Stores (NACDS) is applauding the enactment of an electronic prescribing bill (HB 353) in Pennsylvania that will help to prevent opioid abuse. Pennsylvania Gov. Tom Wolf (D) signed the legislation yesterday. The new law requires that all controlled substance prescriptions be electronically prescribed, with certain exceptions. The law takes effect October 24, 2019 – one year from the date of the Governor’s signature. NACDS recognizes the leadership of State Rep. Tedd Nesbit (R), the bill’s prime sponsor; State Sen. Rich Alloway (R), sponsor of the Senate bill; Pennsylvania State Senate Majority Leader Jake Corman (R); Pennsylvania House of Representatives Majority Leader Dave Reed (R); and Governor Wolf. NACDS also thanked for their leadership the Pennsylvania Association of Chain Drug Stores, the Pennsylvania Orthopaedic Society, and the Pennsylvania District Attorneys Association. “This legislation passed both chambers of the legislature unanimously with a true bipartisan effort, and with widespread support from stakeholders,” said NACDS president and chief executive officer Steven Anderson. “NACDS applauds the leadership that has led to the enactment of this important strategy for opioid-abuse prevention. Public support for e-prescribing is strong in Pennsylvania and across the nation. A poll conducted by Morning Consult and commissioned by NACDS in January 2018 found 76 percent of Pennsylvania voters support a requirement that all prescriptions must be handled electronically, rather than via paper or fax, as a way to help address the opioid abuse epidemic. Thirteen states now have enacted an NACDS-backed mandate, including seven that have enacted such legislation this year. Legislation is pending in additional states as well. Also yesterday, President Trump signed into law federal legislation – the SUPPORT for Patients and Communities Act (H.R. 6) – which includes the provisions of the NACDS-backed Every Prescription Conveyed Securely Act. The new federal law requires electronic prescribing for Schedule II through V controlled substances prescriptions covered under Medicare Part D to help prevent fraud, abuse and waste – with limited exceptions to ensure patient access. In another Pennsylvania connection for the effort to advance e-prescribing as part of the solution to the opioid-abuse epidemic, U.S. Sen. Pat Toomey (R-PA) was an original co-sponsor of the Every Prescription Conveyed Securely Act in the U.S. Senate. “Federal and state laws are aligning to more completely leverage e-prescribing as a way to help reduce fraud and abuse and thus to help keep opioids out of the wrong hands. 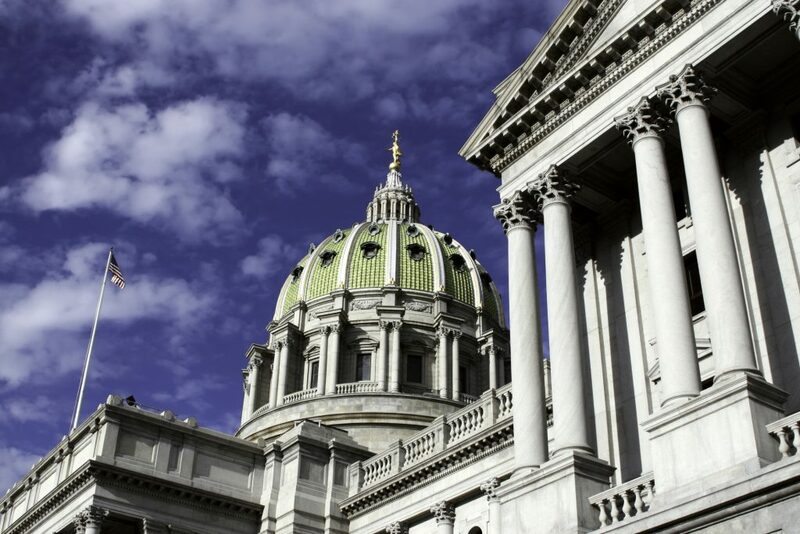 Pennsylvania’s legislators at the federal and state level are contributing strongly to the advancement of e-prescribing as an important part of the solution,” Anderson noted.